Police confirm rescue of abducted director – Royal Times of Nigeria. The police command in Nasarawa State on Monday confirmed the rescue of a director in the Federal Ministry of Agriculture, Dr Sam Anzaku, who was kidnapped by gunmen on July 15. The spokesman of the command, DSP. Kennedy Idrisu, told the News Agency of Nigeria (NAN) in Kokona, near Lafia that Anzaku was rescued at a hideout where his abductors kept him. Idris said that Anzaku, who was abducted along the Kokona-Keffi Road, was rescued at Angwan Mayo community in the Kokona Local Government Area of the state. “The man was rescued yesterday by the police but the unknown gunmen ran away. “I want to assure you that police will do what it can to arrest the abductors and punish them accordingly. 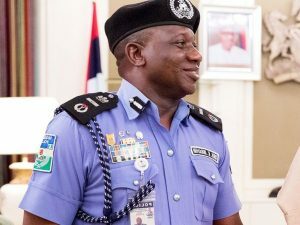 Idrisu said that the police would not relent in fighting crime in Nasarawa State, calling on residents of the state to volunteer information to law enforcement agents. He commended media practitioners in the state for their support to the police command, urging them to sustain the support.